The world now looks to South Korea to understand the digital future. What will the world make of last week’s announcement? The new legislation will allow parents to set a limit on their kids’ phone bills benchmarked at around US$40. Teenagers will have to ask for their parents permission to go over this limit. Currently, according to government statistics, more than four million of the country’s six million teenagers have their own mobile phones, and over 100,000 teenagers between 13 and 18 have monthly bills over US$108. …it is a fact that both Samsung and LG both keep a microscopic eye on how home market teenagers are using their new technology to plan their global strategy, therefore this new legislation could limit the influence of Korean companies on the future mobile market. Would parental control result in Korea being usurped as the place to watch for the future of mobile convergence? Or will the operators change their subscription models to allow teenagers the same amount of connectivity at a cheaper price? Or finally (and the most exciting) will the technology companies change their products to deliver the same level of breaking functionality in a way which is both attainable and cost effective? For me, a further interesting question is always – will Pester Power simply mean the kids will get whatever they want? All the research I’ve personally done in this area in Asia has demonstrated that Kids are expert negotiators. They typically know exactly how to negotiate for something desirable (e.g. mobile phone usage) for something their parents want (hard work at school). I can’t see that changing. And if anything, this legislation may just make the large mobile phone bill a badge of honour – or even the perfect space for playing out teenage rebellion. Entry filed under: korea, mobile. Sunsilk India ‘co-creates’ with Gang of Girls	The world’s best trend map. Ever. Kids are getting whatever they want, and this will continue to grow. With reference to India – most urban parents in the key metropolitan cities, who have phones, have kids who use them as well. So the habit sets in when they are really young. Indian mobile companies have already started cashing in on this. There are student plans / friend plans / sms plans which make the mobile package very cost effective for even parents to consider for their children. It’s a small price to pay. Parents see the postives of giving a mobile phone as “keeping a tab” on their child. As an aside, the growth of the BPOs – call centres – in India, a couple of years ago, saw a spurt of growth in the employment of teenagers – resulting in an extra income for them – which was all their own. One can imagine how the branded industry stepped up sales, and largely among them the mobile companies, with the segment using the fanciest gadgets of the times. Teen jobs do liberate the age group from seeking parental consent, to a large extent. This trend is growing and parents are not averse to it. 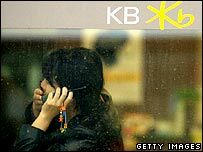 The magazine “Charged” Feb 2007 issue, states a Reuters source that this legislation in Korea comes into force, not because of “controversial content or abusive behaviour, but an attempt to prevent youth from ringing up exorbitant phone bills they cant afford to pay”. Last year a Korean youth commited suicide when he saw he had a phone bill amounting to USD 4000 ! Hence now, not only do parents get to set a limit to the time spent, but they also get to intervene in allowing kids to exceed their time limit and keep an eye on the services used. However, Parental regimentation means little today. We need more practical solutions. Jason Chiu, president of Cherrypicks and Chairman of Cyworld Taiwan Ltd, mentions that in Taiwan, Cyworld has created a monthly flat subscription fee, to avert worries on excesses. No longer do consumers need to worry about high bills. Perhaps Korea will walk this path very soon.